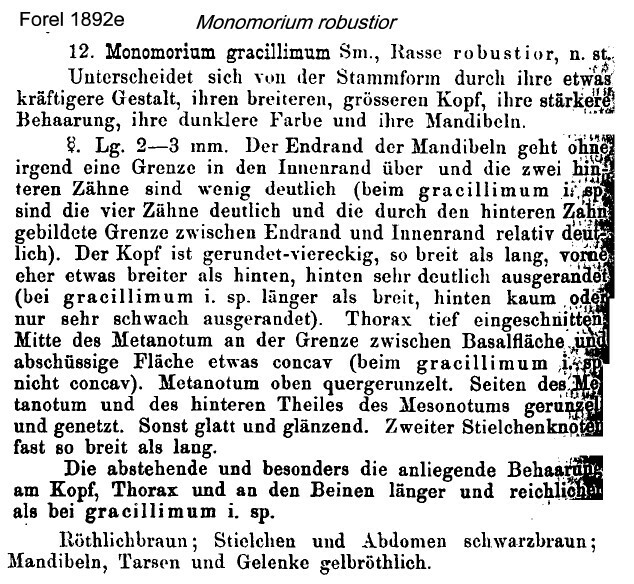 The subgenus Parholcomyrmex was defined by Emery (1915i: 190), type species Monomorium gracillima (as Myrmica gracillima, now junior synonym of Monomorium destructor) - see . The main characteristics Emery listed were - slightly dimorphic workers; funiculus with a three-segmented club (Monomorium santschii with four segmented-club, type location Tunisia), the first two segments equi-sized. 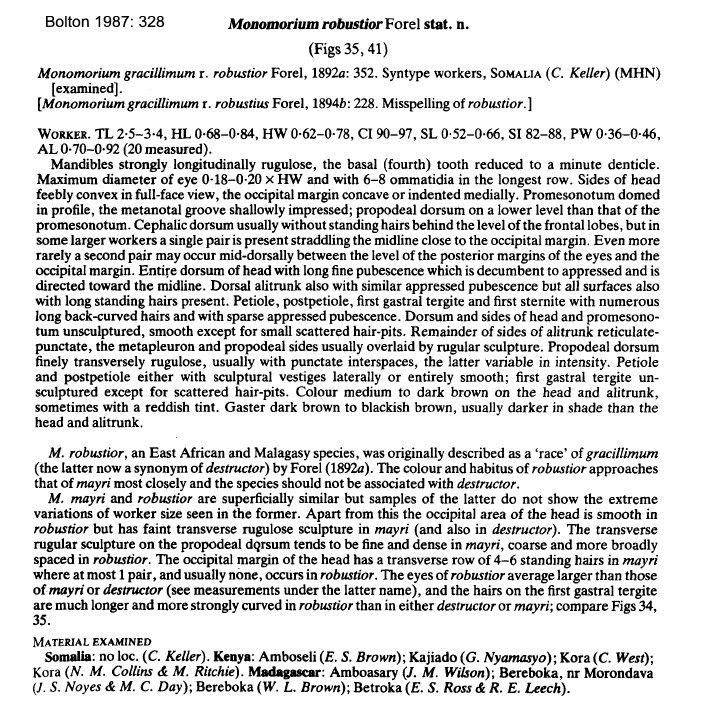 Type location Somalia (Monomorium gracillimum Sm. rasse robustior n. st., Forel, 1892e: 352, worker) . WORKER - TL 2.5-3.4 mm; colour of head and alitrunk brown, gaster darker (in Bolton, 1987: 328, illustrated, alitrunk profile). The photomontage is of a specimen from Sudan, Kordofan, El Ain, near El Obeid; collector J Mathews (JM 072). The photomontage is of a worker from Senegal, Bamabaraya; collector B Ndiaye.